Rise of the MUT Runner. As always, thanks so much for the support! Great blog post! It’s actually quite exciting to see fast guys competing in trail/road ultras. It’s pretty inspiring to see the times you (and others) are running. I kind of see this more as a “re-emergence” of fast ultra times. If you go back into the 80’s (even before I was born) some of the fastest 50 mile and 100km times were run by speedy guys. I’m thinking of guys like Don Ritchie, Frank Bozanich, Barney Klecker, Bruce Fordyce and so forth. Do you think we’ll start seeing more and more guys running times closer to these? Like, Don Ritchie’s 6:10 100KM, or Bruce’s 4:50 50 miler time? I’m really intrigued by the 80’s ultrarunners who ran these times, and I’m sure with proper training, you and other can come close and/or break these records. Hey, that history is great to hear! I think there will be a shift with doing more fast-ultra events (ie on the roads and track) as that is something I’m very interested in as well. The mountains and trails are beautiful and it’s great to mix it up with surfaces and all the different courses too though. Not sure how popular it will become as one needs to specialize to focus on the unique demands of each type of ultra-running racing eventually though. Thank you again for the support! 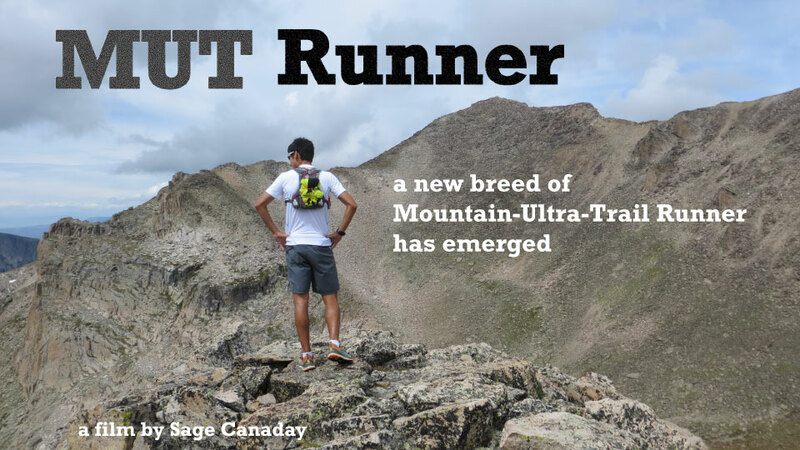 You may be a fast runner, but “a new breed of Mountain-Trail-Runners have emerged…” is not grammatically correct. I liked the old breed — Nick Clark, Anton, they understood subject-verb agreement. hey thanks for the catch! it was a great piece that you submitted, sage! definitely excited to track with you and the development of the MUT runner project – happy christmas holidays to you and sandi! Hey, glad you liked it! Happy holidays to you as well! Been following your progress and I think you’ve achieved a lot in 2013. The trails for sure help you become a better runner and I truly believe you are a new breed being both a road and ultra runner. Look forward to your next Olympic trial. Really inspirational! Hey thanks so much for the support! The trails and mix of events with the longer distances has been a lot of fun. Best of luck with your training and future races and Happy Holidays!